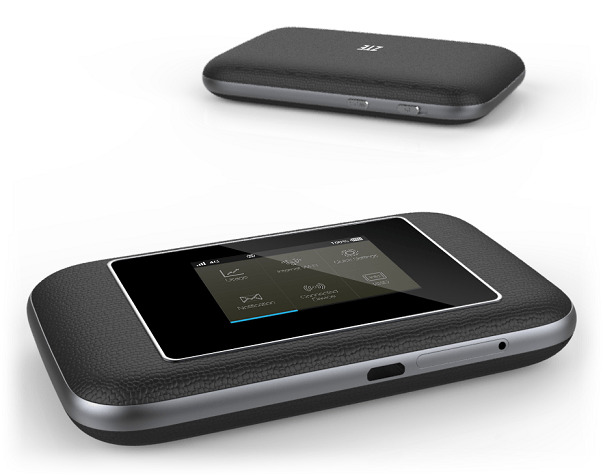 Portable Router ZTE Flare is called WiFi hotspot router, but it’s designed for mobile use and allows multiple users to share the wireless network through it. More powerful than Huawei E5786 LTE Cat6 mobile hotspot, ZTE Flare could support maximum up to 32 users to access internet. Based on the LTE Category6, the peak speed of 300Mbps will provide good surf experience for the users.